Union Cabinet on 25 February 2015 gave its approval for establishing the New Development Bank (NDB) and the BRICS Contingent Reserve Arrangement (CRA). This decision was taken in Union Cabinet meeting chaired by Prime Minister Narendra Modi. Benefits of New Development Bank (NDB) Mobilise resources for projects related to infrastructure and sustainable development among member nations of BRICS i.e. in Brazil, Russia, India, China and South Africa. The bank will help India and signatory member countries to raise and avail resources for their infrastructure and sustainable development projects. Act as a binding agent to maintain close relations among BRICS countries and provide a powerful instrument for increasing their economic cooperation. In order to effectively deal with short term liquidity pressures it will provide short-term liquidity support to the members. It will also help India and other signatory countries to forestall short-term liquidity pressures. CRA will strengthen financial stability among BRICS countries by providing mutual support to each other. Union Cabinet on 25 February 2015 gave nod for creation of two additional benches of the Authority for Advance Rulings (AAR- Income Tax). This decision was taken in Union Cabinet meeting chaired by Prime Minister Narendra Modi in order to enable resident taxpayers to obtain an advance ruling in respect of their income tax liability above a defined threshold. Two additional benches of the AAR will be established in New Delhi and Mumbai. Implications of establishment additional benches of AAR Increase disposing of number of cases to reduce pendency of cases in order to benefit tax payer and the Government. Operationalise the facility of advance ruling for resident tax payers. Provide tax clarity in certain situations to the resident tax payers. Along with this decision Union Cabinet also gave its approval Creation of various posts: 2 posts of Vice-Chairmen in the Apex scale. 4 posts of Members (two posts of Revenue Members and two posts of Law Members) in the Higher Administrative Grade (HAG+). 2 posts of Secretary at the level of Commissioner of Income Tax/Joint Secretary. Establishment: One time expenditure of Rs. 7.48 crores. Running: Annual recurring expenditure of Rs. 6.61 crores. As per the provisions of Income-Tax Act, 1961 AAR was constituted for advance rulings to settle income-tax liability AAR provided the facility of settle income-tax liability of a non-resident and to plan their Income-tax affairs in advance in order to avoid long drawn and expensive litigation. Telecom Regulatory Authority of India (TRAI) on 25 February 2015 has amended regulation to allow Pan-India Mobile Number Portability (MNP). In this regard, TRAI has issued 6th amendment to the Telecommunication Mobile Number Portability Regulation, 2009. It will come into effect from 3rd May 2015. MNP enables mobile telephone users to retain their mobile telephone numbers when changing from one mobile network operator to another. At present, MNP norms allow users to retain their numbers while changing their operators within the same service area or telecom circle, which in most cases, is limited to a particular State. The new amended rule will allow mobile telephone users to retain their numbers by changing their operators in different telecom circles which in this case is different states across country i.e. Pan-India MNP. Background Earlier in November 2014, the Department of Telecom (DoT) had issued an amendments to MNP licence agreement. In this amended agreement, DoT had stated that MNP should be implemented Pan-India within a period of six months from the date of amendment of the licences. 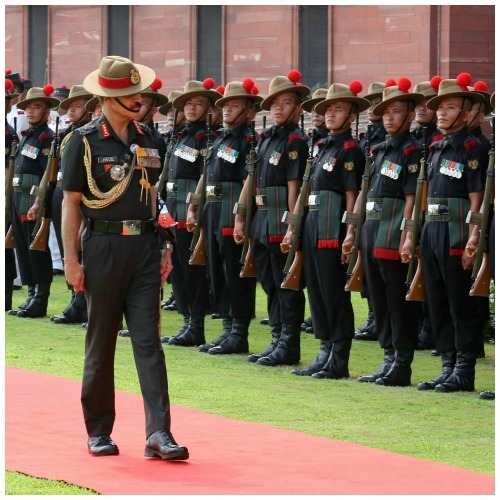 44 Armoured Regiment of Indian Army on 25 February 2015 was honoured with President’s Standards for its meritorious and distinguished service to the nation for more than three decades. The honour was bestowed on 44 Armoured Regiment by Chief of the Army Staff General Dalbir Singh on behalf of the President Paranb Mukherjee at function held at Suratgarh military station in Srigangangar district of Rajasthan. Chief of the Army Staff also released a Special Day Cover to commemorate this historic event. It was raised on 15 December 1981. Its founding commanding officer was Brig D.S. Dhillon. At present, the regiment is operating along the western borders. Since its formation, regiment had participated in a large number of operations, including Operation Meghdoot (1984), Operation Rakshak-II (1991) and Operation Parakram (2001). The regiment also has been recognised with the numerous awards. 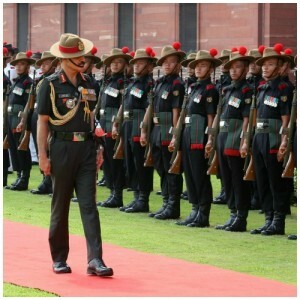 They are 2 Vishisht Seva Medals, 1 Uttam Jeevan Rakshak Padak, 21 Chief of the Army Staff Commendation Cards. It also include 6 Vice Chief of Army Staff Commendation Cards, 19 General Officer Commanding in Chief Commendation Cards and 1 United Nations Force Commander Commendation. The President’s Standard is the highest and most prestigious honour bestowed upon any regiment (unit) of the Armed Forces since their inception. It is bestowed upon them in recognition to their invaluable contribution to the security of our Nation both during hostilities and peace. It also marks and epitomises their selfless service hard work, valour and sacrifice of all the personnel posted in regiments. Union Government has announced as many as 27 Indian satellites are currently operational. It was announced by Minister of State for Prime Minister Office (PMO) & Department of Space Jitendra Singh said during Question Hour of Lok Sabha. Among the 27 operational satellites, 11 are communication satellites, 12 are earth observation satellites, 3 are navigational satellites and 1 is Mars orbiter mission. Union Government also announced One more satellite will be launched in March 2015, while 3 more are in the pipeline. India is also taking leading role in launching satellites for the SAARC nations. Currently 95 Ku-band (a part of K band) transponders onboard indigenous communication satellites are being utilised for various communication applications. India also has perfected the science of weather forecasting. Thus accurately predicting cyclone and other natural calamities in recent times. With successful launch of five satellites in June 2015, India has entered the area of commercial satellites. It also laid the foundation of future satellite programmes. United States (US) has announced to provide work permits to spouses of H-1B visa holders from 26 May 2015. Under existing US laws, spouses of H-1B visa holders are not eligible to work. This announcement is expected to benefit thousands of talented and professional spouses who have settled in US but are unable to work. As per new rules, US Citizenship and Immigration Services (USCIS) will begin accepting applications for work visas of H-1B spouses from 26 May 2015. In this regard H-1B visa holders spouse has to submit Form I-765 to USCIS. Once this form is accepted by USCIS, H-4 dependent spouse will be granted an Employment Authorisation Card to start working in US. This move is going to benefit more than 1.79 lakh in the first year and 55,000 annually in subsequent years especially Indians. Ravi Chaudhary, an Indian American has been appointed as Executive director for Regions and Center Operations at the Federal Aviation Administration (FAA), a key federal aviation post of United States (US). As Executive director of FAA, Chaudhary will be responsible to Execute and oversight aviation operations in 9 different regions of US as well as the FAA’s Mike Monroney Aeronautical Center. Execute a $288 million operating budget and lead over 2100 federal employees assigned to the FAA in 9 regions. 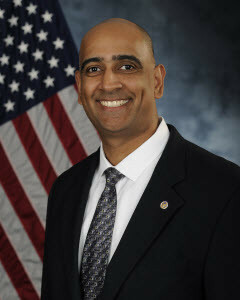 Chaudhary is a former US Air Force officer with 21 years of service experience at various Air Force bases. He also is a C-17 pilot and had completed various assignments in Air Force command, operational, engineering, and senior staff assignments. He holds FAA commercial, instrument pilot and multi-engine certificates. Since 2001 in his deployments he has logged over 3000 hours as a pilot and flight test engineer which includes 760 combat hours. In May 2014, US President Barack Obama had appointed him as a member of the President’s Advisory Commission on Asian Americans and Pacific Islanders (AAPI). Chaudhary holds a B.S. degree in aeronautical engineering from the Air Force Academy and M.S. degree in industrial engineering as a NASA graduate fellow from St. Mary’s University. FAA is a national aviation authority of the United States. At present it is part of the U.S. Department of Transportation. It is nodal agency in US that regulates and oversees all aspects of American civil aviation. United Kingdom has become the first country to legalise the creation of three-parent IVF designer babies using Mitochondrial Donation Technique. In this regard, House of Lords has voted in voted in favour of the Bill that amends the Human Fertilisation and Embryology Act (HFEA), 1990. Earlier on 3 February 2015, House of Commons had passed the bill. Now UK’s fertility regulator Human Fertilisation and Embryology Authority (HFEA) will decide how to license the procedure to prevent babies inheriting deadly genetic diseases. After legalisation and final procedural nod from HFEA, the first baby may be born as early as 2016. This law will help to prevent serious inherited diseases that are being passed on from mother to child. It will also help to remove the hereditary problems related to defective mitochondrial diseases that has passed down through the generations. Now in United Kingdom, women with hereditary mitochondrial diseases will be able to give birth to healthy babies without transferring their hereditary diseases. It does not allow passage of defective mitochondria from mother to babies. Thus, preventing new born babies from dangerous diseases related brain damage, muscle wasting, heart failure and blindness due to defective mitochondria. 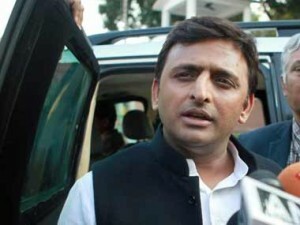 Uttar Pradesh Chief Minister Akhilesh Yadav presented Rs 3.02 lakh crore annual budget of state on 24 February 2015. In annual budget state government has given main thrust on agriculture, education, power, health, roads and infrastructure development. The budget also contains the fiscal deficit of 2.96% of the total GDP of the state. Whereas the state’s debt is expected to be around 27.5% of its GDP. Taxes: For 2015-16 no new taxes have been levied in the budget. Agriculture: State government has declared year 2015-16 as the Farmers year. In this regard 1000 Agri centrs will be established to promote agriculture as a good mean of livelihood among young farmer entrepreneurs. Government Schemes: State government has included new schemes of over Rs 9388 crores in the budget. For farmer’s accident insurance scheme, Rs 600 crores have been allocated. For women empowerment, Rs. 100 crore Mahila Samman Kosh has been created. For free laptop for meritorious students scheme, state government has allocated Rs 100 crores. Power sector: Rs 25764 crores have been allocated for power up gradation and line maintenance in the state. Health: State government of built state of the art cancer Institute in Lucknow with a cost of Rs 854 crores. for In proposed budget Rs 111 crores have been allocated. Infrastructure: State government allocated Rs 3000 crores to Lucknow Agra Express way. It will longest elevated expressway in India on completion.